Reframe your thinking. Change your mindset. Achieve your goals. 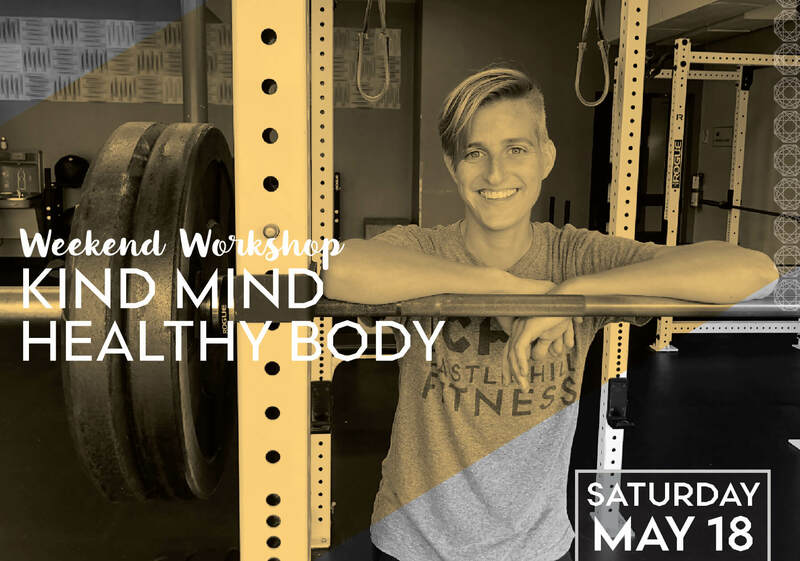 In this two hour workshop, Master Trainer, Ash Atwood will uncover the adverse effects of the traditional approach to fitness and goal setting, and will introduce a new method that makes your steps towards your goals meaningful, positive, and sustainable. The problem is not your body, the problem is how you were taught to feel about your body. As a group, we will work to shift our mindset, approach our goal setting in a new way, increase our awareness to what our body needs, and leave feeling better physically, emotionally, and spiritually. This workshop will be part lecture and experiential. Come dressed comfortably and ready to move your body. Ash Atwood was a gymnast for 10 years and a collegiate pole vaulter. Her early career focused on athletes, providing strength and conditioning for teams at UNC-Wilmington. Since 2012 she has worked as a personal trainer, seeking to bring out the inner athlete in all her clients, with an emphasis on balanced movement and mobility. She encourages her clients to have a holistic approach to their health.